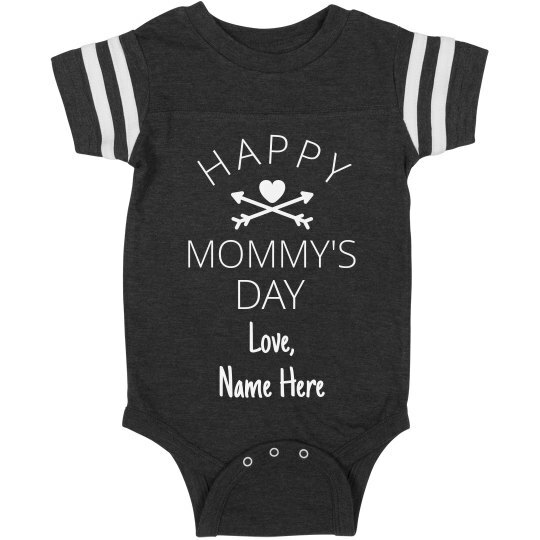 Make a special, custom baby bodysuit to celebrate Mother's Day this year. It's kind of like your baby is actually wishing their own mom, hey, Happy Mother's Day, because it says it right there on their little torso. Except baby's can't actually say words out loud so they need a little help. Customize it with the baby's name to make it extra personal.